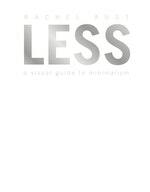 Influencer, fitness guru and master of minimalism, Rachel Aust on her home and her first book, Less. How did you initially come across the concept of minimalism? It was almost accidental! I started to downsize my wardrobe and I thought it’d be good to film the process and share it on my YouTube channel. This was around the time I first began to seriously rethink what I owned and why I owned it, and in the process of searching online for something to do with a specific piece of clothing, stumbled across the concept of minimalism. How did you begin to apply this to your own life? I first started with my wardrobe, this was one of the most excessive areas in my life. I’ve always had a mild interest in fashion (particularly after working as a fashion photographer for a few years), and I have always been someone who enjoys changing their look – whether that be clothing, hair, or whatever else. - Didn’t suit my style anymore. After going through my clothing I sorted it into piles of things that would be kept, donated, or thrown out. This was the beginning of the process for me, and other areas of my life (both physical and mental) followed along after this. Has there been anything that you’ve been especially reluctant to let go of? Camera gear! It’s taken me a long time to slowly chip away at downsizing this. I’m at the point now where my wardrobe is super compact, I own hardly any beauty products, no knick knacks around the house, yet I still have what some would call too many lenses, camera accessories, and even those mystery cables that might belong to something. The only reason this area has been the hardest to let go of is because a large portion of my work requires it. Taking photos for blog posts (Health blog Link: and Personal blog. Link: ), filming videos for YouTube (), creating images for Instagram (), and even working on some freelance video and photo campaigns requires me to have this equipment, so I don’t let myself feel too stressed about the camera gear department. Your minimalism series on YouTube is really wonderful and seems to resonate strongly with your audience. Why do you think so many people are on board with this concept? Thank you! I can’t speak for everyone who watches, but I dare say many people love the feeling of freedom and relaxation minimalism can provide. It’s not just about what’s in your home, but also about really nailing down what’s important to you as a person, what drives you, and what you want your time, money, and thoughts to be focused on. Have you always been a neat person? Is there hope for those of us who are predisposed to clutter? I feel like my mum would burst out laughing if I said anything other than “No”. When I was younger I had to be negotiated with to make the bed, and my wardrobe was always stuffed full (to the point that you had to body slam the door to close it). After I moved out of home I had a lot more pride in the place that I lived because I was entirely responsible for it, and I also realised the hassle that is moving items, it was after this initial move that I started to consider more seriously any potential purchase, and not long after that I began downsizing my possessions. 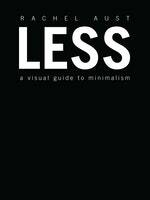 Simplify life and amplify living by mastering the fundamentals of minimalism through this visual guide to embracing a minimalist lifestyle.